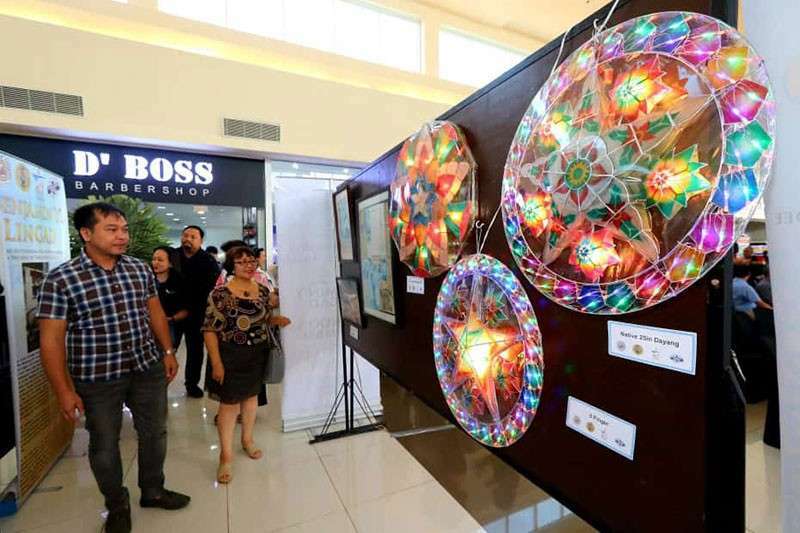 THE City Government of San Fernando through its City Tourism Office in partnership with the National Commission for Culture and the Arts (NCCA), and San Fernando Arts and Culture Council on Friday launched this year’s National Arts Month celebration in grand rites at Vista Mall here. 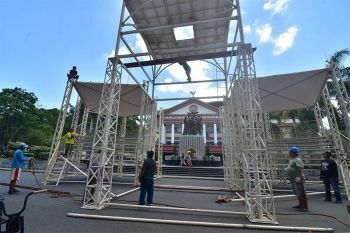 Dubbed “Namnamin,” this year’s National Arts Month celebration will run from February 15 to February 26. NCCA or Namnamin director and Lirip: Journal of Interdisciplinary Studies editor-in-chief Dr. Juliet Mallari said that the word “Namnamin” is derived from the meaning of “to savor” for food and art appreciation. “We chose ‘Namnamin’ because we know that every Kapampangan has talents in the kitchen. We want to showcase the talents of various talents from different regions - that’s why we hold the National Arts Month celebration annually,” Mallari said. The books Ding Mikakapatad (The Siblings) authored by City Tourism Officer Ching Pangilinan and her daughter Sunis Pangilinan Gonzales, and University of the Philippines Diliman Extension Program in Clark, Pampanga’s Lirip: Journal of Interdisciplinary Studies were launched during the event. 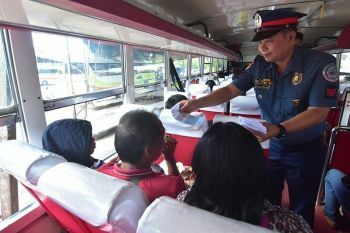 The children’s book, Ding Mikakapatad, is a book project for a cause which aims to distribute at least 500 books to public schools within and outside City of San Fernando. Lirip: Journal of Interdisciplinary Studies is an academic journal that consists of titles such as: Cross-Cultural Dimensions and Geopolitical Interests in the South China Sea Conflict by Dr. Melba Maggay; A Case Study on the Usefulness of Video Recordings of Math Lectures as Supplementary Learning Materials by Asst. Prof. Angela Carreon; Assessing the Citizen’s Charter Formulation and Implementation in Clark-based Public Sector Organizations by Dr. Patrick de Leon; Dumilat, Nasugat, at Haplos sa Pilat: Isang Diskurso sa Pagsaksi at Pag-alaala sa Digmaan (Open Eyes, Open Wounds, and a Deep Scar: On Witnessing and Recalling War) by Jaime Mendoza, Jr.; Pain in Local Filipino Art, Performance Ritual, and Belief by Dulce Cuna; and Ang Manunulat na Filipino at Gunitang Pambansa by National Artist for Literature Virgilio Almario. A ribbon cutting ceremony of the art exhibit which features the works of The Outstanding Fernandino Awards (TOFA) awardees in the field of Arts and Culture namely Benjamin Lingad, Rolando Quiambao, and Ernesto Quiwa was also held during the launching. The said exhibit will end on February 22. The next in line-up activities include lecture and workshop about “Kanita Ampong King Kasalungsungan: Asian Traditional Music and Contemporary Composition” and exhibit and workshop about Kapampangan calligraphy on February 16 at San Fernando Train Station; art exhibit featuring TOFA awardees in the field of Arts and Culture: Erwin Dayrit, Alvaro Jimenez, and Don Reich de Dios on February 18 to 21 at SM Telabastagan; 133rd birth anniversary of Jose Abad Santos, special screening of Honor: The Legacy of Jose Abad Santos, and exhibit and book launch of Honor: The Legacy of Abad Santos on February 19 at SM Pampanga; lecture and workshop on kite-making on February 20 at San Fernando Train Station; art exhibit featuring the works of TOFA awardee in the field of Arts and Culture: Rafael Maniago on February 21 to 27 at SM Pampanga; and lecture and workshop on ballpen art on February 21 at Vista Mall. 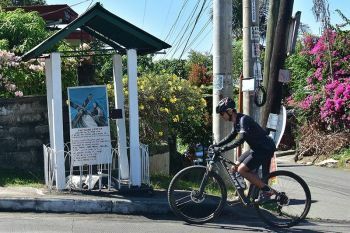 The sub-committee of the NCCA, National Committee on Literary Arts, will highlight the annual “Ani ng Sining” which will be held on February 25 to 26 at the Orchids Garden here. The main partners of NCCA for National Arts Month 2019 celebration in Pampanga are San Fernando Tourism Office, Department of Tourism Region III, Pampanga Tourism Office, Magalang Tourism Office, Pampanga State Agricultural University, and Balanghai restaurant.